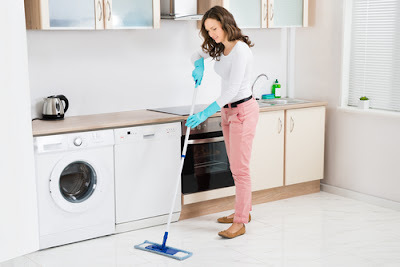 Auntie Cleaner Singapore: What Are The Best Kept Secrets About Spring Cleaning? What Are The Best Kept Secrets About Spring Cleaning? When the sun is brightly shining in Singapore and your windows, baseboards and carpets are dusty, the site will greatly be unappealing. 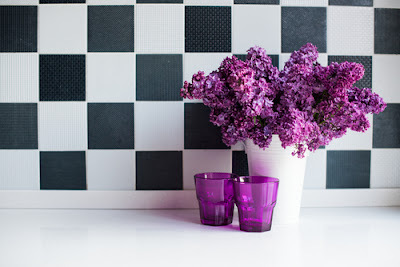 Despite the challenges that spring cleaning provides, you will be happy to realize that you can still tidy up your home and make it entertaining for summer. The process does not necessarily have to be overwhelming or stressful. Smart homeowners, as well as the cleaning professionals everywhere, apply some of the best kept cleaning secrets that no doubt make the process of spring cleaning more manageable. Continue reading to find out more about some of the well kept secrets that smart homeowners and professionals use to get the best results with minimal effort. It goes without saying that getting organized is one of the best strategies. So, to begin with, you may find it necessary to have a cleaning caddy. This will make it easier for you to carry different types of supplies from one room to another. For instance, if you wish to sponge the nasty streak of crayon present in your living room, it will not be necessary for you to stop working and go look for a sponge in a separate room if you have all the necessary cleaning tools in one place. The caddies are made available in different varieties and some of the most popular include rubber types, wire, and wicker varieties. If you want to ensure all bases are covered, you can set up one for tasks related to bathroom cleaning and another one for all other areas. Sponges tend to store lots of bacteria if they are not properly cleaned after every use. Therefore, make sure you clean your sponges after all cleaning tasks. 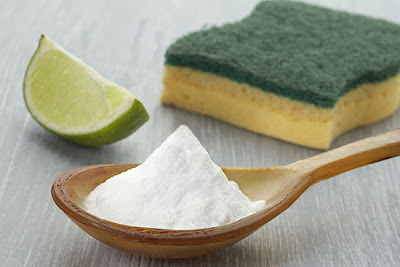 There is no need of using tons of antibacterial cleansers for the purposes of cleaning your sponges. Simply use your microwave. Just a few minutes in the microwave will kill bacteria present in sponges. To get even better results, make sure sponges you put in the microwave are all wet. Cleaning and disinfecting your sponges daily with the help of a microwave leaves them smelling fresh and sweet. As a result, they will be ready for use whenever you need to do some spring cleaning. - Buy several artist's paint brushes prior to commencing the cleaning tasks. They will come in handy when you need to dust the areas that are hard to reach such as textured vases, picture frames, and lampshade folds. - A dusting mitt is also recommended for dusting blinds. However, if you do not have one, an old sock will work just fine. - To clean your electronic equipment, windows, mirrors, and fans, use a microfiber cloth for best results. - Also, use a vacuum cleaner for your cleaning procedures. Fit a soft brush on your vacuum and use the equipment to remove dust and all types of odor from your sofa, pillows, and chairs. - While vacuuming, it is a good idea to strip all beds after which you can thoroughly vacuum them. Dust mites and dead skin cells have probably increased in number from your last spring cleaning exercise. Therefore, a thorough cleaning exercise will eliminate allergens. - Prior to vacuuming your floors, consider running the soft brush attached over baseboards. However, if you notice that they are too grimy, it may be necessary to scrub them with a bit of soap and water. - Shampoo the carpet stains that may be clearly visible on the high traffic sections and consider enlisting the services of a professional carpet cleaner to clean carpets in your home at least twice each year. - To protect your carpets from accumulating too much dirt, place rugs near all the exterior doors. - If you smoke indoors or keep pests, then use some baking soda to keep your carpeting smelling fresh. You can sprinkle a good amount of baking soda on your carpeting and leave it overnight. - To prevent water spots from collecting on your shower doors and the shower enclosure, apply a layer of wax twice each year. These spots will rarely stain particularly because they have no grip. Wax is generally slippery, therefore, do not have it anywhere on the shower floor. - Remove soap scum by using baby oil. If you really dislike the buildup of soap scum, consider using liquid soap instead of bar soap. - For a fast cleanup exercise, use a vapor cleaner or a steam cleaner. These are available at affordable prices thus eliminating the need for scrubbing using caustic materials. After many days of neglect, the kitchen can be a terrible sight. Therefore, do not wait till you are ready to do your spring cleaning just to clear up the mess. - Vacuuming the refrigerator from time to time is highly recommended. - Clean the garbage disposal with some vinegar and baking soda as this will remove the gunk and eliminate all forms of odor. - Remove all items from the counter-tops and clean them with antibacterial soap every couple of days, even though, some people prefer to do this on a daily basis. Spring cleaning does not necessarily have to be a tedious experience. With a bit of strategy and a few hours to spare, you will effectively keep your interior space clean and have even more time to focus on doing other things before the end of the day. So apply these well-kept secrets and be wowed by the results.